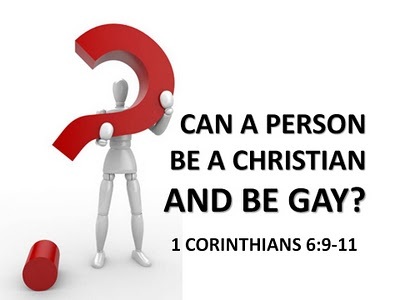 WAS PAUL IGNORANT OF HOMOSEXUAL ORIENTATION? By Ken Silva pastor-teacher on Aug 23, 2011 in Current Issues, Features, Homosexuality/"Christian"
Apprising Ministries is an online apologetics and discernment labor in the Lord apprising you concerning 1 Peter 4:17 judgments Jesus is sending upon His church visible allowing apostasy to spread throughout mainstream evangelicalism. I’m warning you to brace for a tsunami of apostasy likely to hit first when the aggressive pro-gay agenda launches a full-on assault upon evangelicalism because they know its leaders are way too timid to stand up to them. In addition, its Emergent Church ally has softened up evanjellyfish’s younger sectors, which they did through opening them up to corrupt Counter Reformation Contemplative Spirituality/Mysticism (CSM). By using CSM to blow up the pillar of sola Scriptura, it opened the door for EC leaders to relentlessly bombarding Young Adult and Youth ministries with pro-gay propaganda. That’s why I recently covered Miley Cyrus And Gay Marriage, which I took flak for doing. Let me explain something; I don’t personally consider Cyrus and Heidi Montag to be genuine Christians. However, 1) they themselves do profess to be, 2) many people do consider them such, and 3) this is a good example of the pro-gay evangelical witness among celebrities. Is it possible that the biblical texts were ignorant about homosexual orientation and were thus prohibiting only ‘unnatural’ homosexual practice by participants of heterosexual orientation?This would suggest that the practicing homosexuals in the Bible were involved in homosexuality against their natural inclinations. Yet the nature of sin is that people sin because they want to sin (James 1:13-15). It comes from our desires. No one is dragged into sin kicking and screaming. Homosexuality existed in biblical times because people enjoyed it; they were drawn to it by their own hearts (Mark 7:21-23). An artificial distinction between (sinful) homosexual practice and (justifiable) homosexual orientation contradicts the Scripture’s constant connection of desire, orientation and deed. If the deed was prohibited in Scripture, the desire was too.